335 p., 17,2 x 24,4 cm. The 90 letters in this work, which have been provided with a commentary and additional content obtained from handwritten sources, span the sixteen months during which Shaftesbury fulfilled private and public obligations and also committed himself passionately to the principles of his political thinking. 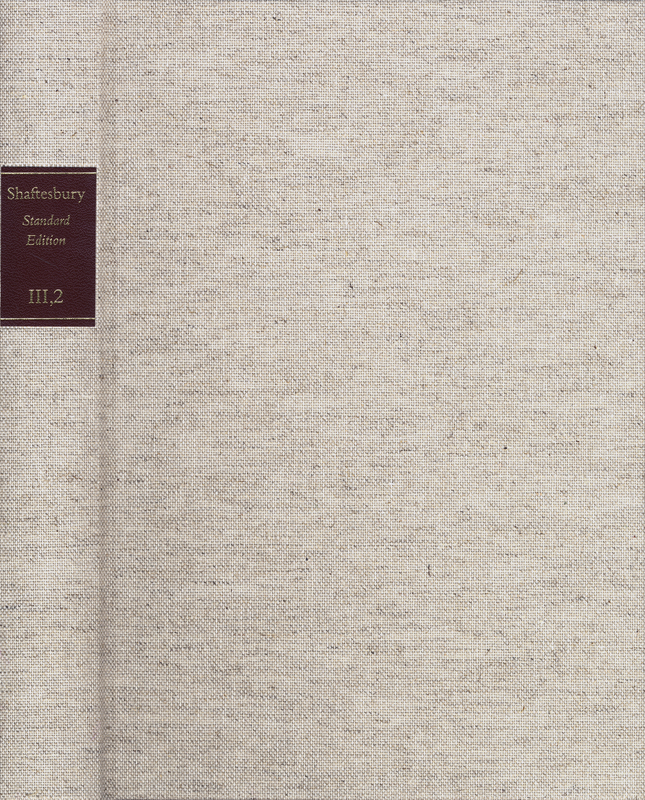 These show that Shaftesbury was an astute observer of political developments. In the home region of the Shaftesburys, the main concern was to use their traditional influence in the parliamentary election of 1701. On a national and international level, what was at stake was the safeguarding of the Protestant succession to the throne in England and of the balance of power within Europe. Shaftesbury maintained a lively exchange of information with a network of ideologically like-minded friends in Holland and, what is especially interesting, supported John Toland.